A guide for audio and visual recording projects. Instructions for the digital audio recorders available for checkout at each library. A kit containing most of this equipment can be checked out at and returned to the Hardin Valley Circulation Desk on the first floor. Use any combination of text, images, video, animation, music, and/or voice narration to add creativity and interactivity to an assignment. You can add audio or video to a PowerPoint presentation, or create a screencast (recording and narration of your actions on a computer screen). You can present an argument through podcasting, or record an interview with someone else as an information source. Audience: Who is your audience? Are you aiming to teach or entertain them? Time: When is the project due, and how much time do you have to figure out the software or technology needed? Is there a time limit on how long or short the recording should be? Goals: What do you hope to accomplish, and how will multimedia help you reach your goals? Where can you find inspiration to be successful? When you have decided on a project, how do you proceed? Equipment: Will you need a microphone or a webcam? What software do you have access to? Best Practices: Is there a right or wrong way to complete the project? Can you find recording and editing tips? 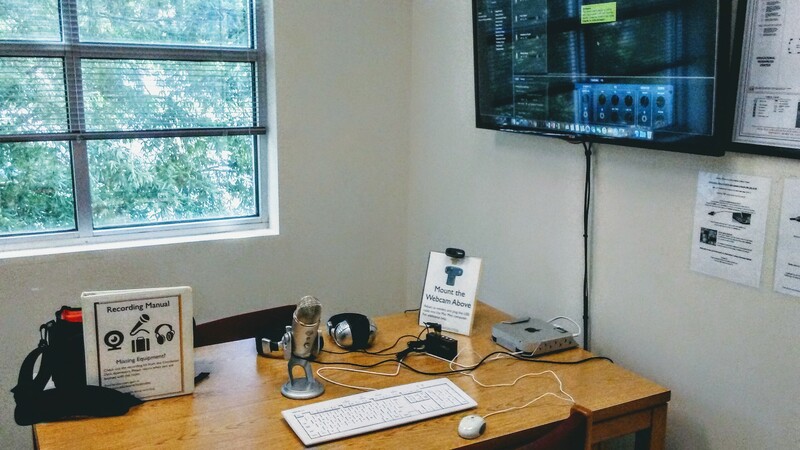 Recording: Reserve the recording room at Hardin Valley, check out a digital audio recorder, or check out a laptop equipped with internal microphone and webcam. Edit: Polish your project by removing silent gaps or stumbles in the recording, and re-record as needed. Find a software tutorials for help with editing. Copyright: Feel free to add content to your project that has been created by others, but only if it does not violate copyright. Do you see a Creative Commons License? Publish: Store and share your multimedia online. Consider the best platform for audio or video. You may want to add a transcript or captions for accessibility. And always save your work to the H Drive, a USB flash drive, or your preferred cloud storage!